In the beginning, motorcars were simply a new mode of transportation that looked very much like the horse-drawn carriages they were designed to replace. In other words, motorcars were simply functional, but not especially stylish. Eventually, after they caught on, every aspect of an automobile was designed with appearance in mind, including the headlights. Buehrig’s design for the hidden headlight attached the light housing to the cover, which, in the case of the Cord, was cranked open by a lever on either side of the dash, one for each light. When electric headlights finally replaced the original kerosene and carbide-fueled lanterns used to illuminate the evening road, they were large, cylindrical units mounted atop the fenders. Pierce-Arrow was the first to integrate the headlight into the fender’s design as a styling element, and, by the late 1920s and throughout the 1930s, the headlight became a part of an automobile’s character. The austere headlamp had evolved into a streamlined pod as aerodynamics became the styling vogue. It began as part of the design for a “Baby Duesenberg” but Gordon Miller Buehrig’s groundbreaking concept rewrote the book on American automobile styling when it debuted in 1936 as the Cord 810. The landmark design did away with the traditional grille and concealed the headlights within the fenders. Although the Cord 810 and 812 were not long-lived, Buehrig’s concept for concealed headlights is still used by automakers nearly 70 years later. In 1933, Gordon Buehrig’s proposed “baby Duesenberg” sedan featured headlights that retracted into the fenders; he patented the idea in 1934 and the hidden headlight became another idea for the stylists to use. Making them work, however, would be a problem left for the engineers to consider. 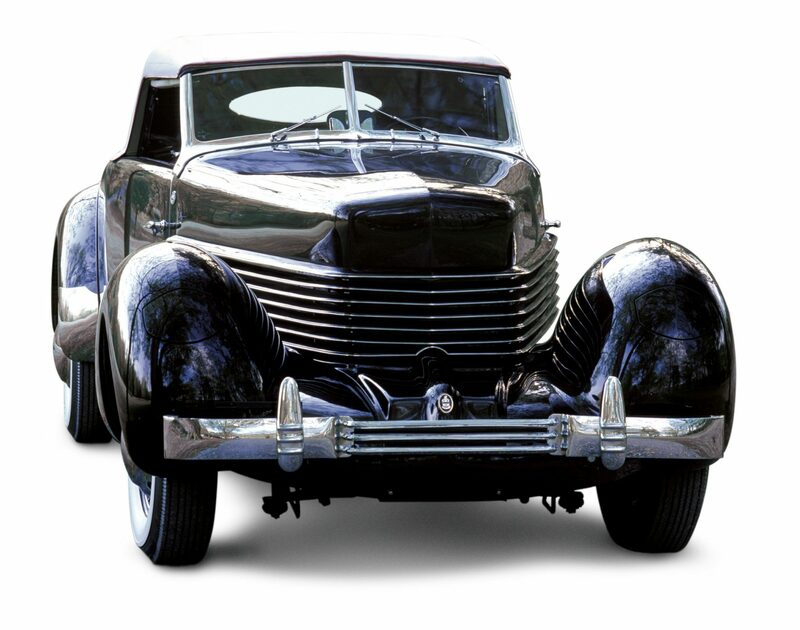 The first use of hidden headlights for a production automobile was on the Gordon Buehrig-designed 1936 Cord 810. Buehrig wanted to make the lights retract via electric motors, but cost considerations prohibited it. Instead, the lights were cranked by hand with separate handles under the dash. The Coffin nosed Cord 810 and 812 models rewrote the book on automotive styling and set designers on a new course. The hidden headlight was about to emerge as a styling element that has yet to lose its allure after nearly 70 years. The next car to feature hidden headlights was a Harley Earl creation dubbed the Y-Job. 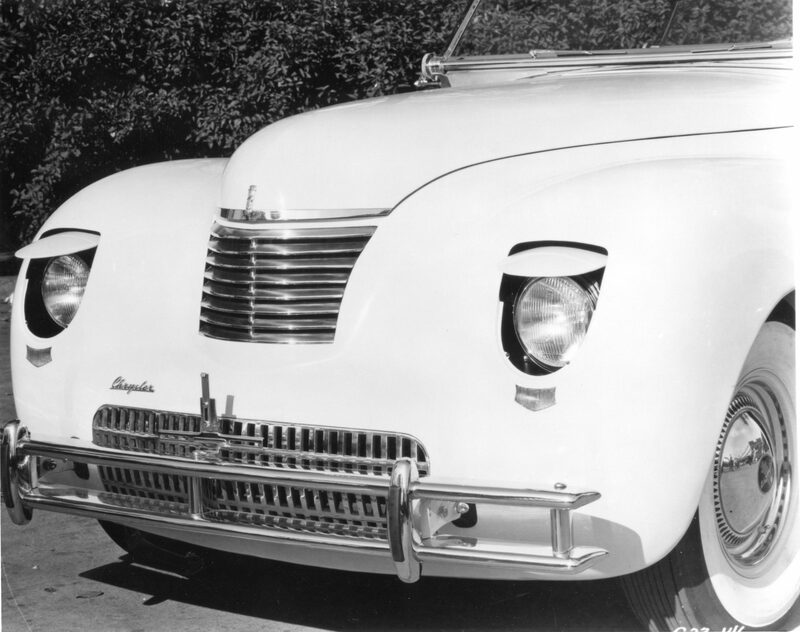 The 1938 concept car was, at the time, probably the most radical automobile in existence. Though the Y-Job had many forward thinking features, the hidden headlights added a futuristic and sleek look to the one-of-a-kind convertible. The next car to feature hidden headlights was a Harley Earl creation—America’s first concept car—the Y-Job. Earl, who headed GM’s Art and Colour Section, developed the art of automotive styling. Art & Colour became, as the late Dave Holls once described it, “The mother church of auto styling, the university that graduated design vice presidents for nearly all other U.S. car companies. Harley Earl was their professor.” He came to GM in 1927 from California, where he had worked for Don Lee designing custom-built cars for Hollywood’s café society and stars of the silver screen. By 1937, the Art and Colour section had matured into GM Styling and the 1938 Y-Job was, at the time, probably the most radical car in existence. Earl considered it his laboratory on wheels and drove the car routinely for years. Though the Y-Job had many forward thinking features, the hidden headlights added a futuristic and sleek look to the one-of-a-kind convertible. The lights were covered with horizontally split circular lids that opened up and down like human eyelids; they opened whenever the lights were switched on. The Y-Job’s design heavily influenced Buick styling for 1942 and beyond, but the hidden headlights would not be seen on any GM production cars until the mid-1960s. Chrysler’s show cars of 1941—the Newport dual-cowl phaeton (which paced the Indianapolis 500) and innovative Thunderbolt hardtop convertible—foreshadowed the use of hidden headlights on its DeSoto line. On the Thunderbolt the headlight covers dropped down, and on the Newport they moved upward. With that considered, perhaps there is irony in the fact that DeSoto featured hidden headlights on its 1942 models, thus becoming only the second American production car to have them. European designers beat DeSoto to second place, though. Stabilimenti Farina built hidden-light bodies on Lancia and Fiat frames in 1939, and Pininfarina did so as well for Alfa Romeo. Gordon Buehrig’s Cord had, however, provided the influence for all of them. Chrysler’s show cars of 1941—the Newport (which paced the Indianapolis 500) and innovative Thunderbolt hardtop convertible—foreshadowed the use of hidden headlights on its 1942 DeSoto line. World War II brought an end to automobile production in February 1942; when it ended and production resumed, hidden headlights for American automobiles had disappeared (no pun intended). Although the 1941 Newport and Thunderbolt were show cars, in 1942 Chrysler’s hidden headlamp design found its way into the DeSoto model line. The idea was not forgotten, though. Harley Earl incorporated concealed headlights into his next landmark experimental, the 1951 LeSabre. The LeSabre’s styling was heavily influenced by the appearance of the then most advanced fighter plane, the F-86 Sabrejet. The headlights for the LeSabre were mounted onto the back surface of the upper grille/air inlet. When the headlight switch was turned to the on position, the oval-shaped grille moved inward, rotated 180 degrees, and then pushed outward. The 1956 Pontiac Club de Mer was another show car from GM to have concealed headlights. Packard employed the idea on their show car of ’56, named Predictor. 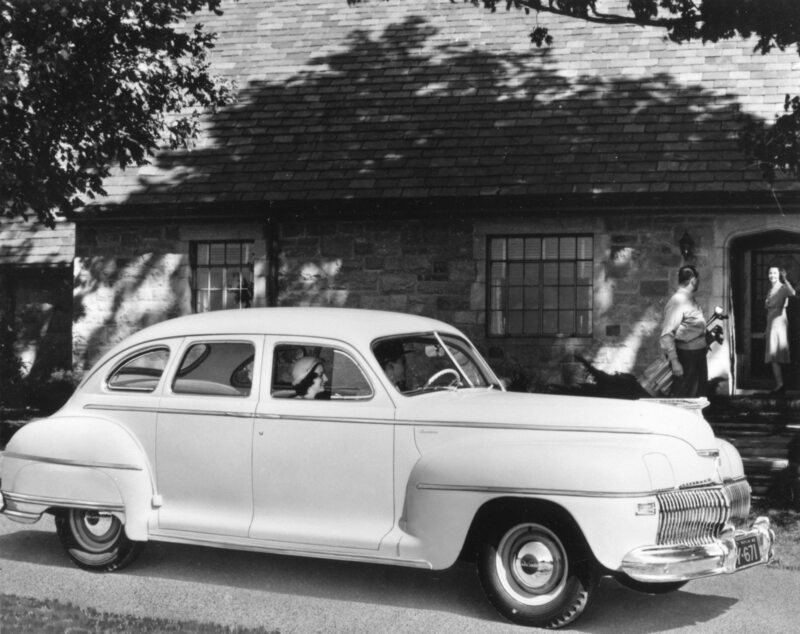 Evidently, only show cars in the U.S. could have hidden headlights in the 1950s. Former stylist and VP at GM, Chuck Jordan, told us that cost was a consideration back then, but they preferred to cover the headlights since “they were stuck with seven-inch sealed beams” due to the laws at the time. (The law was changed to allow smaller sealed beam units in conjunction with quad systems during 1957.) There was no law restricting the installation of concealed headlights in the 1950s, however. Even though Ford had not turned out any cars with hidden headlights, the stylists had at least thought about them. A 1949 Lincoln proposal that reached the full-scale mockup stage had hidden headlights and various 3/8-scale models created in the early ’50s, like the Bolero and Syrtis, had them, too. Like GM, Ford would not get serious about the idea until the 1960s. Harley Earl incorporated concealed headlights into his next landmark experimental car, the 1951 LeSabre. The styling was heavily influenced by the most advanced fighter plane of the era, the F-86 Sabrejet. The headlights for the LeSabre were mounted onto the back surface of the upper grille/air inlet. Chrysler was like-minded, but they did design a couple of cars with hidden headlights—an experimental dubbed the Norseman—for 1956, and an Imperial D’Elegance for 1958. Ghia in Italy actually constructed the Chrysler Norseman and when it was completed, the show car was placed aboard the Andrea Doria. Days later, the car was resting with the ocean liner more than 200 feet below the surface of the Atlantic after a collision at sea. (For a detailed story about the Norseman, see the August 2002 issue of Car Collector.) The contour of the hidden headlight doors at the end of the front fenders provided a sleek, shark-nose shape. The D’Elegance gave inspiration for the design of the 1961-62 Plymouth Valiants and Dodge Lancers, as well as provided elements for other Chrysler cars that followed, but concealed headlights were not adopted for Mopar vehicles for several more years. Incidentally, it is rumored that the deep hoods over the headlights of the 1960 Imperial were designed to accommodate hidden headlights similar to those seen on the 1958 Imperial D’Elegance show car. Sergio Pininfarina broke the styling mold at Ferrari when he designed the 365 GTB/4. The original car was a sleek, aerodynamic design with the headlights integrated behind a clear Plexiglas noseband. 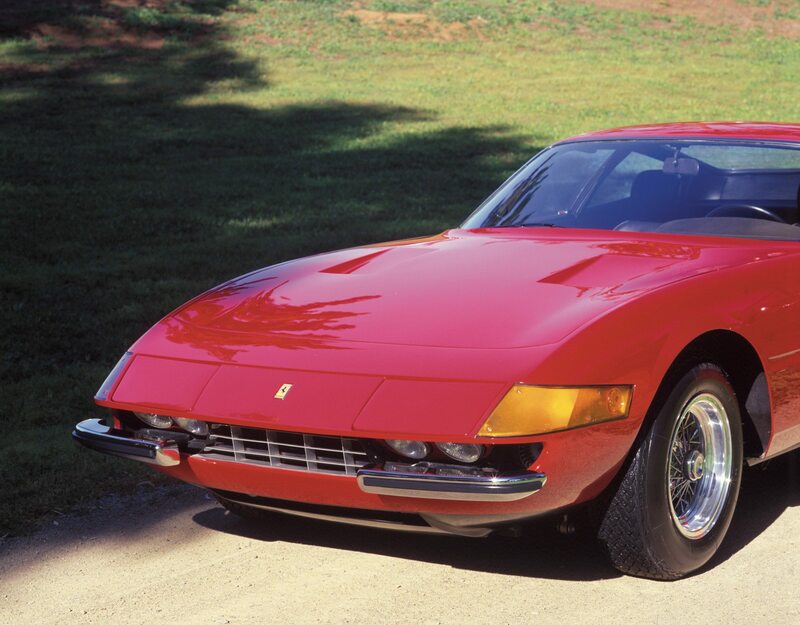 The design, unfortunately, did not meet the federal government’s height requirements for sale in the United States; thus, Pininfarina took a page from Corvette design history and changed the Daytona Berlinetta’s headlight design to pop-ups. Even when lowered, they can still be seen. European designers experimented with many different methods of concealing the lights in the 1950s. 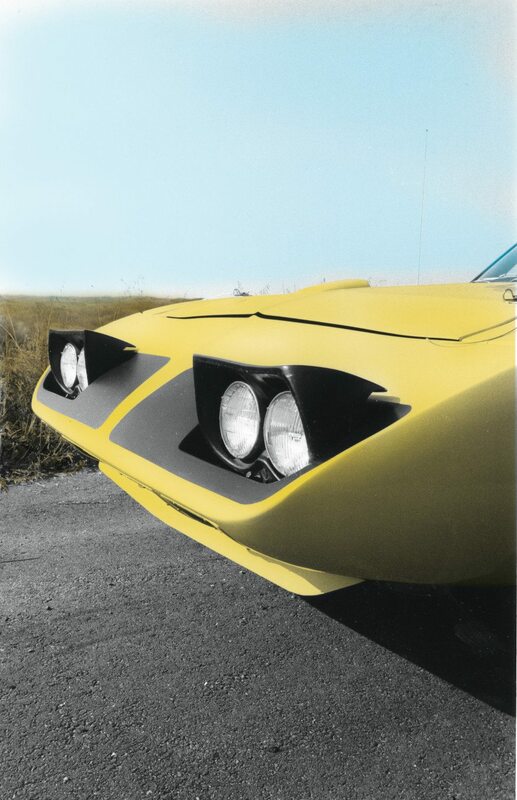 In Italy, Bertone chose to have the headlights swing out sideways onto the grille area of his B.A.T. 5 (or Berlinetta Aerodinamica Tecnica 5). The succeeding B.A.T. 7 had them swing downward. Pininfarina concealed the lights in his Ferraris and an experimental Alfa Romeo roadster. 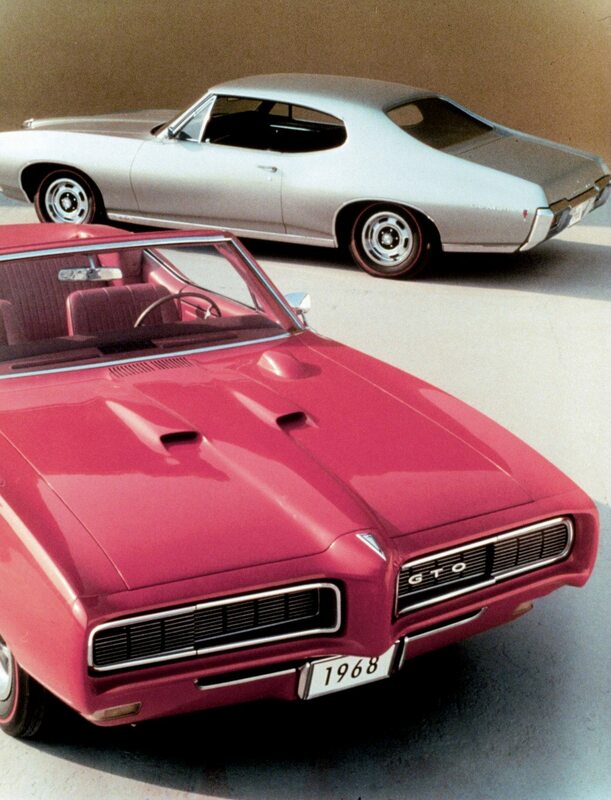 Pontiac followed the hidden headlight trend of the late 1960s by hiding the GTO’s illumination behind doors in the grille. Ford may have been partially responsible for keeping American auto stylists interest in hidden headlights alive. 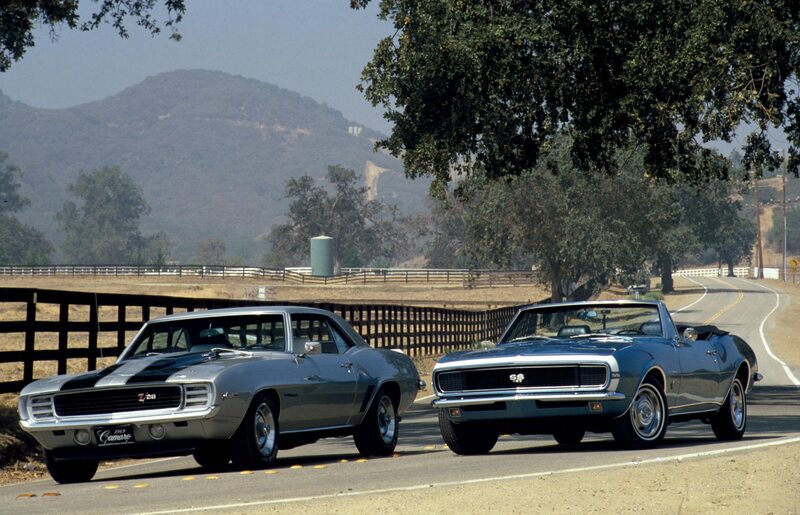 Their show cars, the 1962 Cougar 406, 1962 Mustang I, the 1963 Mustang II, and the 1964 Cougar II each incorporated the feature. Each of these vehicles had a sleek frontal shape thanks in part to their concealed headlights, which explains why they were and still are used today. Improved aerodynamics translates into a faster car —or at the very least, one that appears to be fast. The highly popular production version of the Mustang made do with conventional exposed headlights, though. Most likely, the reason was simply a matter of cost. Keeping the Mustang retail price as low as possible was a major reason for its great success. More gadgets would have only added to the price tag. The production Cougar, which debuted for the ’67 model year, did, however, use disappearing headlights. This Cougar looked nothing like the show cars that bore the same name. The emphasis was as much on luxury as sportiness. The Mustang-based Mercury received the look of elegance with its concealed headlights neatly incorporated into the grille, which is something Buick found it could do with the feature on its 1965 Riviera. The Marauder was revived for model year ‘69; the name had last been used in ‘65. Mercury said of its new series, “Now you no longer have to sit in a cramped cockpit if you want sporty action. Marauder X-100 performs and handles like a sporty road car and is designed like a luxury car.” The frontal design (inspired by the Continental Mk. III) was shared with the Marquis. Hidden headlights can be employed by stylists to provide a sporty, aerodynamic look or (as in this example) to give the appearance of sophistication to a luxury vehicle. Ford also used concealed headlights during this period for its top-of-the-line full-size models, the LTD and XL; lower series versions got exposed headlights. The Riviera for ’63 was Buick’s entry into the personal luxury car market and their response to Ford’s Thunderbird. Hidden headlights were meant for the new car, but problems with the system and reluctance on the part of GM management to introduce them on two new cars in the same year (the Corvette got them for ’63) postponed the setup until two model years later; the headlights were simply mounted on the grille for ’63 and ’64. General Motors’ chief stylist at the time, Bill Mitchell, kept pushing for the arrangement on the Riviera and went so far as to have a special Riviera built (dubbed the Silver Arrow) for ’64. For ’65, the Riviera received double clamshell doors in front of the stacked lights at the end of the fenders. The system was not trouble-free. The ribbed clamshell doors were controlled by a single electric motor located behind the front bumper, and operated automatically when the headlights were turned on or off. As much as the hidden headlight added to the cleaner appearance they also proved to be a source of frustration when they didn’t work. Most often, the problem occurred when the arms out to the clamshells were not kept lubricated, which lead to the motor failure. (Today, collectors who own a ’65 Riviera must deal with the setup from time to time—especially during a restoration. The electric motor that operates the doors is mounted in front of the radiator, meaning it catches moisture and dirt. The linkage can get into a bind as a result. If left in a bind for long, the motor can fail. Burned-out motors are expensive to replace; they typically cost hundreds of dollars when a replacement is needed. Periodic lubrication as well as cleaning are both necessary to keep the system working. The Riviera was redesigned for 1966, but maintained the hidden headlights and did so through 1969. 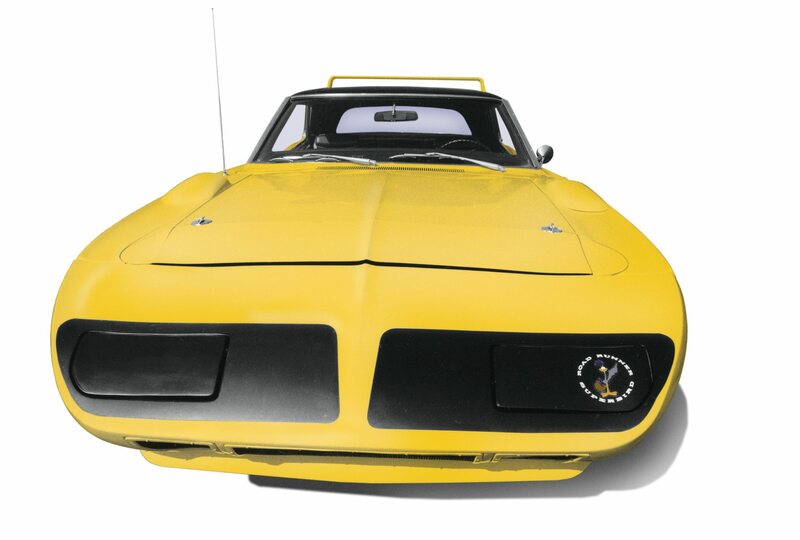 Extended “nose cone” on the 1969 Dodge Daytonas and 1970 Plymouth Roadrunner Superbirds utilized pop-up headlights to give the cars a sleek, aerodynamic front end. Once again, a raised headlight housing greatly disturbed both the aerodynamics of the design and the eye of the beholder. Let us get back to the Cougar. The system used for the ’67 version was not trouble-free either. The arrangement consisted of fixed lights covered by doors (integrated with the grille), raised by vacuum activators. The vacuum was not controlled directly by the light switch, but by a slide valve wired into the headlight circuit. This design led to a recall of the cars due to “drowsy” lids. Ford Motor Company improved the setup for the following year. Even today, Cougar enthusiasts are instructed via the official Website of the Cougar Club of America on how to deal with failed hidden headlights. Even though the setup can be troublesome from time to time, the styling of the original Cougar was greatly enhanced with them. The year 1966 brought a couple of interesting new cars with concealed headlights. Dodge introduced the Charger, which featured hidden headlights integrated with the grille. The Charger maintained the characteristic through the 1970 model year. 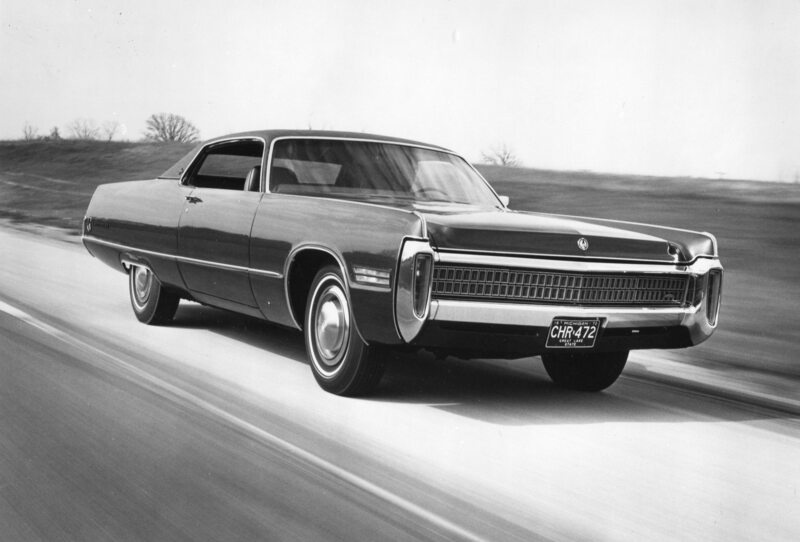 The year also brought the new Toronado from Oldsmobile, a front-wheel drive car whose styling bore resemblance to the Gordon Buehrig designed Cord; the headlights were, of course, hidden. The feature was dropped on the Toro after ’69. Perhaps this had something to do with the problem discovered with the ’68s. The light covers blocked the airflow to the radiator. (The same problem infected that year’s Corvette.) For ’68, the Toronado’s pop-up lights used previously were replaced with fixed lights behind retracting grille panel doors. The system required a thermostatic valve near the radiator. When the coolant temperature got above normal, the valve triggered the switch causing the lids to rise upward, which of course allowed more air to flow through the radiator. When the temperature dropped to an appropriate point, the lids closed. Many Toronado owners that year wondered why their headlights would seem to open at random during the day! General Motors made use of hidden headlamps on Chevrolet’s Corvette, which first had electrically operated units on its benchmark 1963 model (thanks largely to Larry Shinoda) with a new design that had a sloping nose; it remained as a prominent styling feature on the Vette through the C-5. Seen here is a 1964 model. 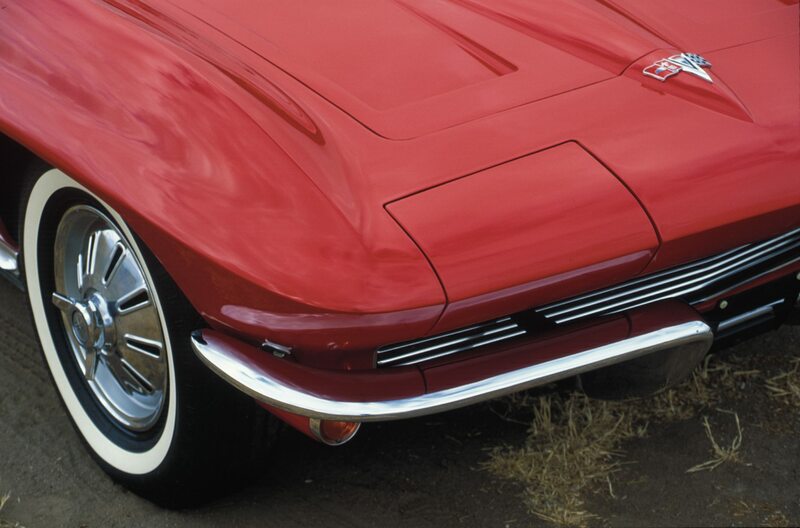 As noted earlier, GM made use of hidden headlamps on Chevrolet’s Corvette, which first had electrically operated units on its 1963 model (thanks largely to Larry Shinoda), with a new design that had a sloping nose; it remained as a prominent styling feature on the Vette through the C-5. 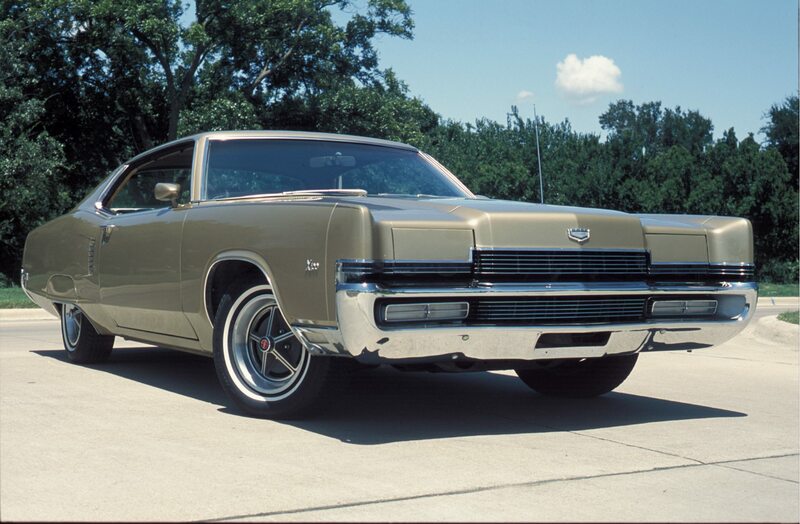 Other GM offerings made hidden headlights an option for the ’68 Chevrolet Caprice, Pontiac GTO, and a part of the Rally Sport package for Camaros from 1967 to 1969. 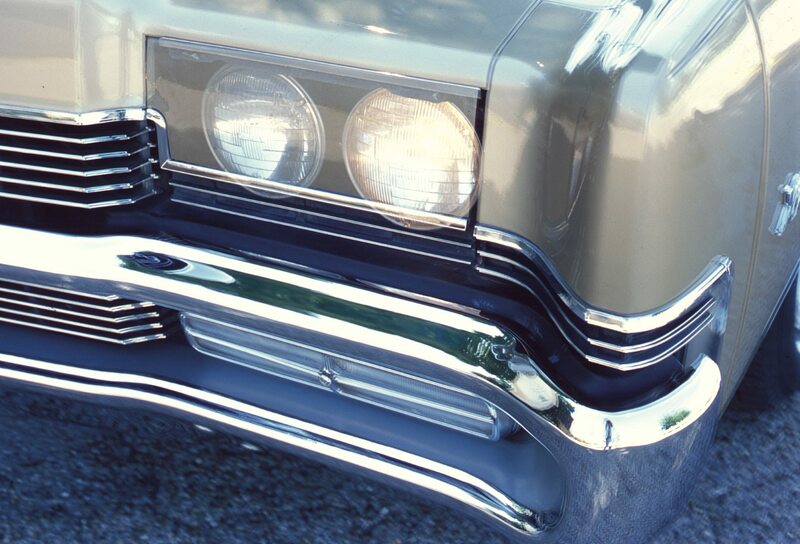 GM made hidden headlights an option for the ’68 Chevrolet Caprice, Pontiac GTO, and a part of the Rally Sport package for Chevy Camaros from 1967 to 1969. 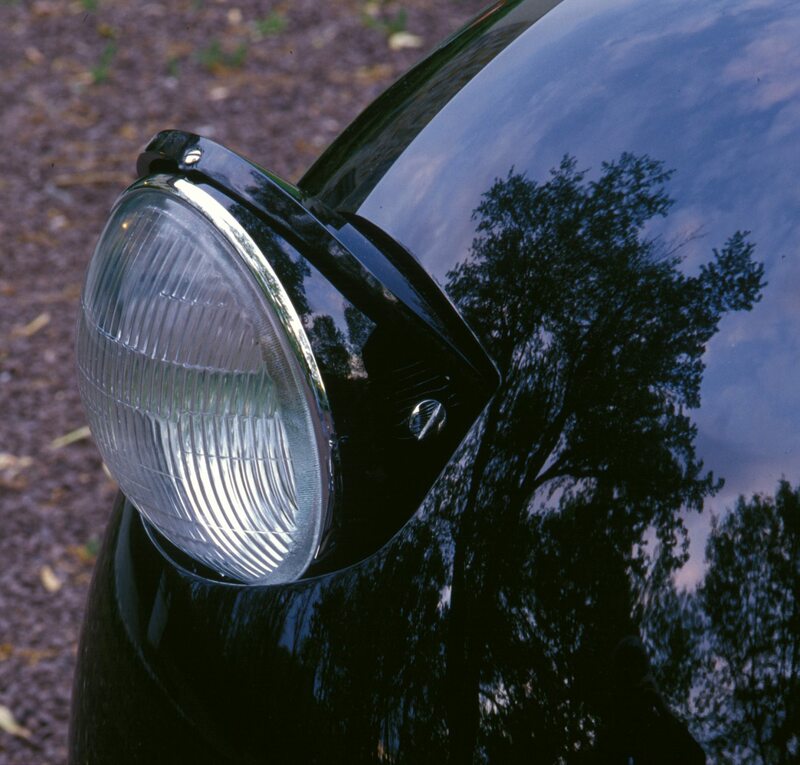 Hidden headlights have been in continuous use on automobiles since the 1960s. (Interestingly, they have rarely been on trucks. 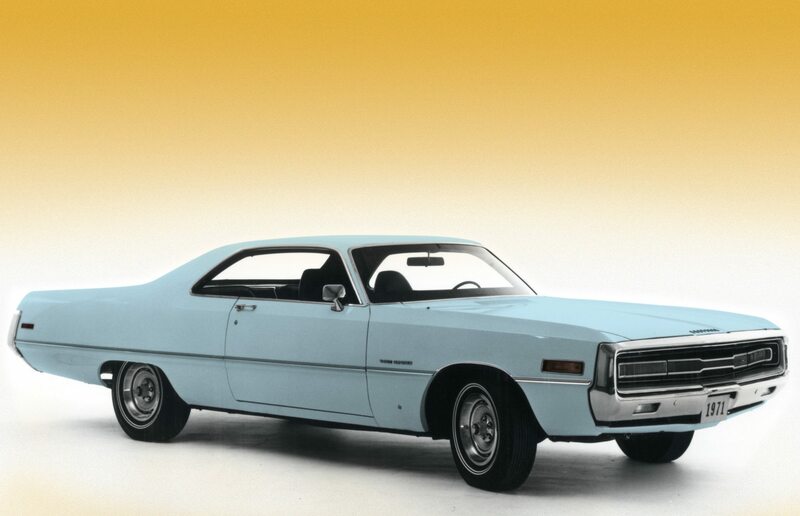 Ford offered them on their Torino-based Ranchero GT for 1970 and 1971.) The feature works well in a cosmetic sense for aerodynamic cars. Former GM stylist and VP, Chuck Jordan, explained during an interview with the author, that they are basically used “to get a smooth, clean surface for sportiness and aerodynamics. There is no particular rule that says to have them—it’s done when it’s thought to enhance the design.” Cost is certainly a consideration, which may explain why AMC never had them on any of their cars except for the AMX III. One factor that evidently is often not a consideration is designing the setup to look good when the lights are on! For instance, just take a look at any modern car such as a 1993-2002 Firebird/Formula/Trans Am at night—the smooth, aerodynamic look is spoiled then! More irritating is a failure in the system that forces the owner to manually open the lights and leave them up. The repair bill can be worse. 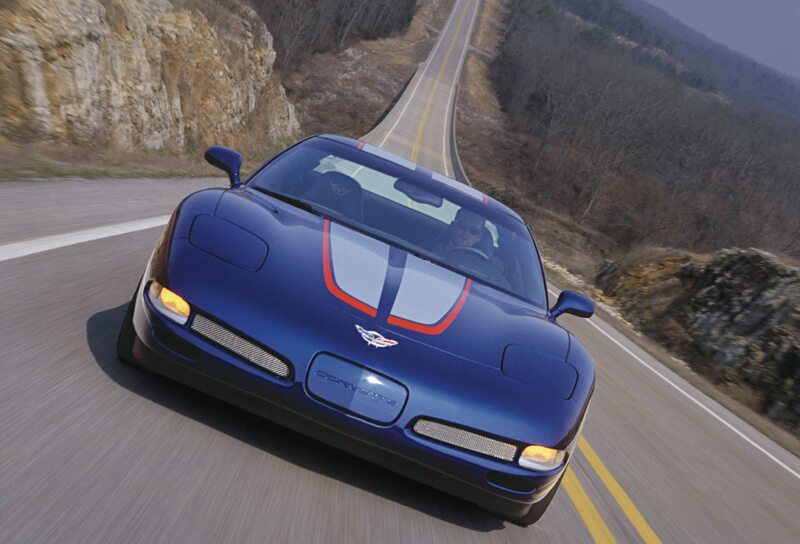 The 2004 Corvette is the last model to have concealed headlights. The new generation C-6 Corvette uses aero-lamps. Modern aero-lamps may bring an end to the use of concealed headlights or at least make them much less common. 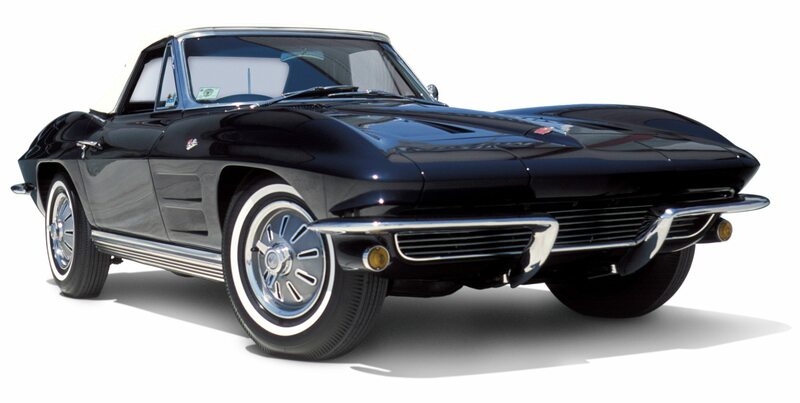 The C-6 Corvette is the first Vette since 1963 not to have hidden headlights. Aero-lamps appear on many other modern day cars—especially sports cars—such as the Dodge Viper. Of course, lighting is one of many components the stylist must consider. As long as there are imaginative stylists and automobiles, there is probably no end to differing ways we will illuminate the road ahead. 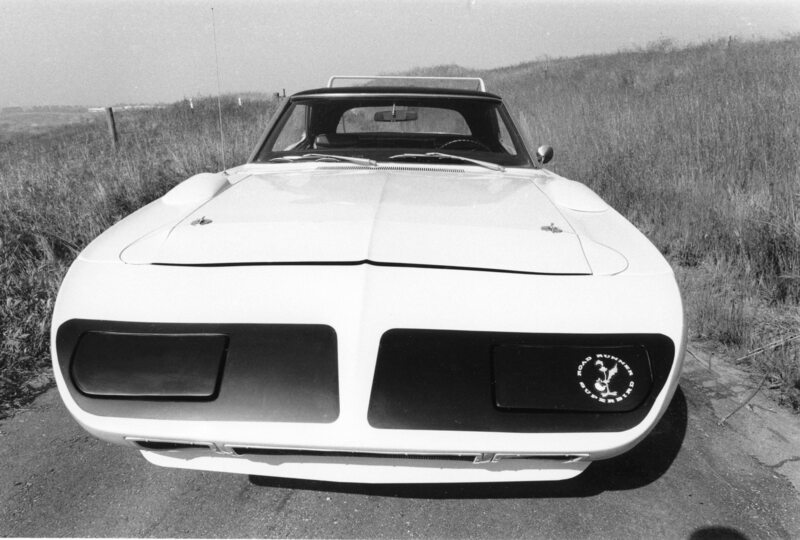 Right up to the end, Pontiac offered the Firebird with concealed headlights. This is the 2003 model. It was hard to tell if the 1972 Chrysler Imperial LeBaron was coming or going. The hidden headlights, secluded behind doors in the grille, gave the car a sleek, though confusing appearance. The last year of the original Chrysler Letter Car series was 1971, and the Chrysler 300 featured concealed headlights. t’s hard to keep a good idea down, or concealed in this instance. 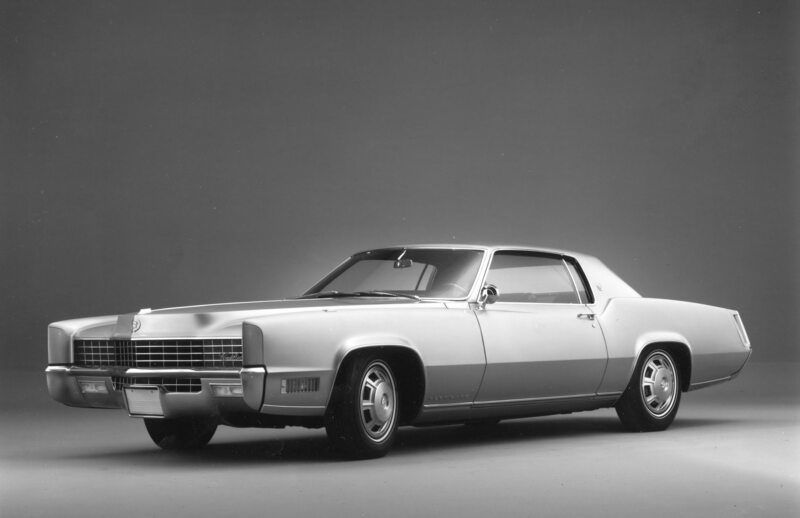 Hidden headlights were back on the Cadillac Eldorado in 1976.